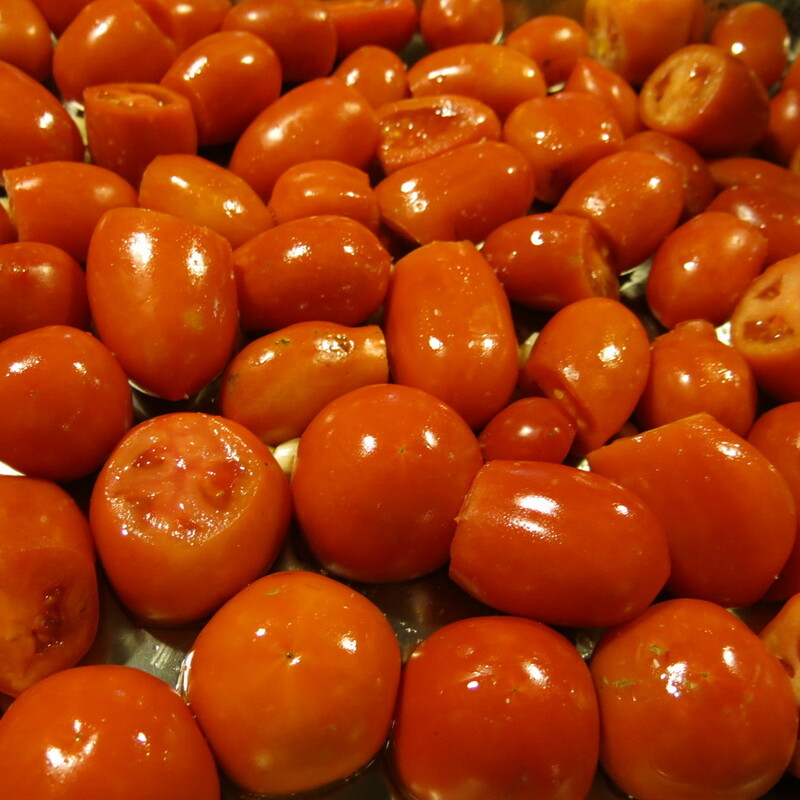 Fresh slow-roasted tomatoes. Herbs from the farm. Mozzarella cheese from Capiello Dairy in Schenectady, which is 50% more expensive than commodity mozzarella and 100% better. Flour grown in New York State and freshly milled at Farmer Ground Flour in Ithaca. It takes three days to make our naturally leavened, sourdough-style crust. We think the results are worth all the effort. We're not traditionalists. This ain't Naples. But better equipment does create better results. Like our fork mixer from Italy, which slowly aerates the dough without heating it up. So your crust tastes better. Fresher is better. 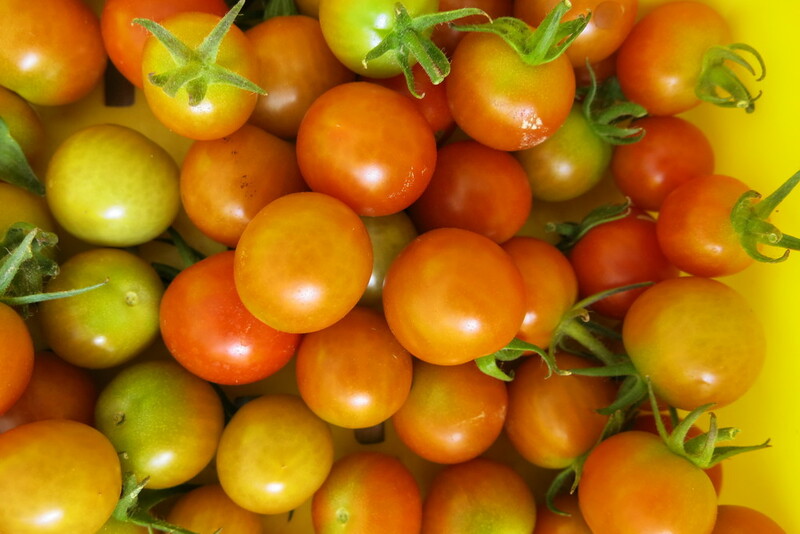 We make rustic sauce with fresh tomatoes from our farm and from our friends' farms in Washington County. First we roast fresh tomatoes with garlic and herbs, then we simmer the sauce low and slow until it's thick and concentrated. Sometimes the baker says "hang on a minute," then she walks down the driveway and comes back with a handful of fresh basil for your pizza. Better delivery pizza is made with better ingredients. 9 Miles East Farm uses high-quality ingredients and a three-day slow-fermented levain process to make delicious pizza unlike anything else in the area. Then we deliver it to you to enjoy. Ingredients matter. Our flour comes from Farmer Ground Flour in Ithaca, NY. Our cheese comes from Capiello Dairy in Schenectady. Our meat comes from local and regional farms. And our vegetables and herbs? We grow some of them ourselves and buy others from our friends' farms nearby. Many people who love pizza love thin-crust Neapolitan style. We do too: It's great fresh from the oven. But for delivery, we wanted something that had body and flavor on its own. We wanted pizza crust that is good bread. So we use local flour from Ithaca, NY, slow, natural fermentation, and the best mixing and resting techniques to produce dough so good you'll wish it was thicker. We make a fresh, rustic, herbed, boldly seasoned sauce from our own tomatoes in season and from the best we can get the rest of the year. Josh raised the pigs used to make our sausage. Seth grew the onions. 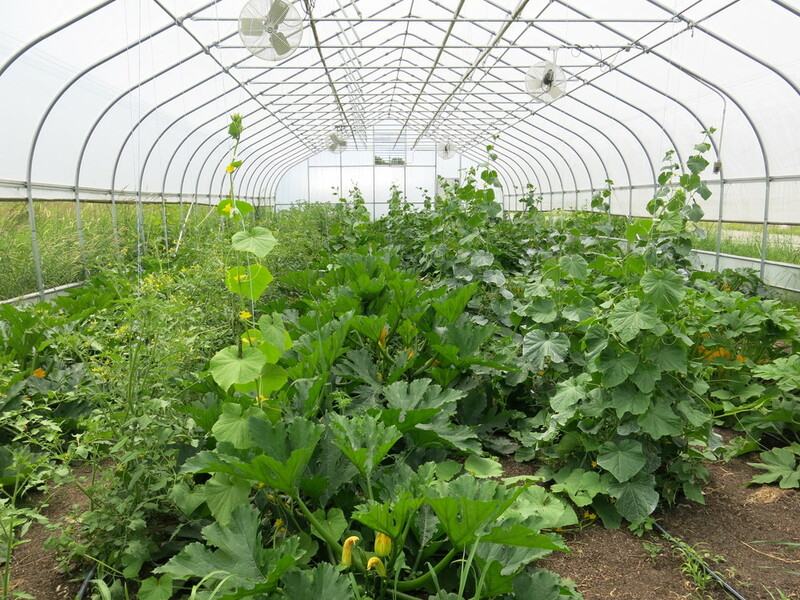 We grow lots of the other ingredients ourselves on our 29-acre farm. The crust is unusual. We use high-extraction local flour for flavor and nutrition, and a three-day slow fermentation process to give the crust great body, taste, and texture. If you made a loaf out of our dough, it would be really good bread. The natural leavening process also affects the gluten in the dough. Some people find it easier to digest than traditional white pizza dough made with commercial yeast. We don't use as much cheese as some other pizza places. It's a quality over quantity approach: We use whole milk, low-moisture mozzarella from Cappiello Dairy in Schenectady. It's great cheese, melts beautifully, and tastes pure and perfect. We buy it in big blocks and shred it ourselves with a somewhat scary food processor because the preshredded stuff is coated with cornstarch and just doesn't melt right. Anyhow it's great cheese but we don't use a ton of it on each pie, and not because it's 50% more expensive than commodity mozzarella. It's just that we don't want the pizza to be a gooey mess, and we don't want you to feel bloated after you eat it. The sauce isn't sweetened. We roast tomatoes with garlic and herbs, puree them skins and all for better flavor and nutrition, then drain off excess water to concentrate flavor and keep your pizza from getting soggy. We don't add any sugar or other sweetener. You can only choose from three different pizzas. That's right, just three choices. Farmhouse with tomato sauce and cheese is our house pizza. Barnyard adds a mix of sweet and hot Italian sausage from nearby West Wind Acres in Charlton. Great farm, great sausage. Then we have a special each week based on what makes sense for the season and what we think is delicious. That's it. No pineapple-anchovy-blue cheese. Sorry. There are a limited number of pies available each night. Our dough process starts three days before your order, so we can't just pull another batch of dough out of the freezer. This is a craft process with a living dough. It's kind of like brewing. We also want to be sure we can deliver a consistently great pizza and make the ordering and delivery process just as good as the pizza. Right now we can handle 12 pies per night. That'll go up to 20 when we are confident we can execute well, and we'll continue to build from there. But there will be times when we sell out. You can pre-order for a future night if you want to be sure to get a pie. It's online ordering only. That's right, there's no phone number. We want to keep the ordering process organized for your benefit as well as for ours. So we ask that customers order online. Or you can download the app and order that way. It'll take longer the first time but be easier ever after. No two-liter bottles of soda. We're not kidding ourselves that pizza is the perfect health food, though we do think our approach is relatively healthy. For drinks we'd be happy to bring you some cider from our neighbor's orchard, or some bubbly Saratoga Water. Or you could go get yourself a growler of good IPA from your favorite local brewery. No wings, no fries, no chips, no dipping sauce. Our GO Box salads go great with pizza. And we're working on quickbread desserts that will be healthy and delicious. It costs $2 more. High-quality ingredients are more expensive. But we think the quality, freshness and flavor are worth it, and that $20 for a meal that'll definitely feed three and might feed four is still a pretty good value given that we also bring it to your home or office. If none of that looks like a deal-breaker, you can order online and see what you think. Delivery only. Serving Saratoga Springs, Skidmore College, Wilton, Greenfield, Gansevoort, the village of Greenwich, and our friends and neighbors in Schuylerville.